How to Build a $30 PVC Hoophouse for your raised bed Garden. 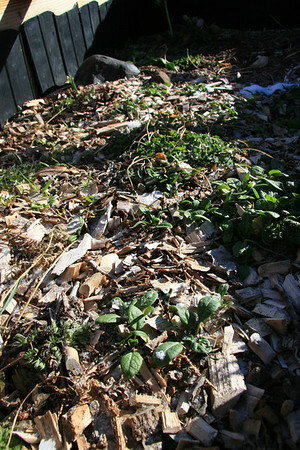 I don’t have a greenhouse, therefore, I’m going to have to build one. It has to be simple and it has to be inexpensive. The hoop house and cold frame fit that criteria perfectly. Pound the rebar about halfway into the ground 1ft down. 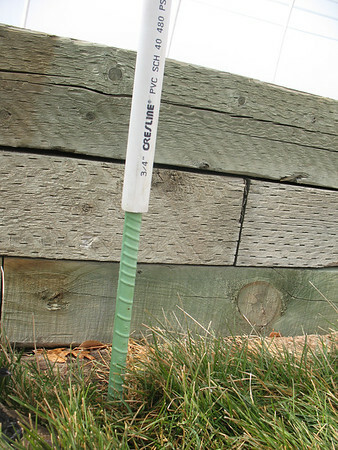 Then take the PVC pipe and put it over the 1ft of rebar sticking out of the ground. Bend the PVC into an arch and put it over the rebar opposite it. Repeat until there are 4 PVC arches spanning your garden. A hoop house can be built with just a Big hammer and $30 worth of material from Home Depot. Hoop house has A couple advantage over it’s counter part Cold frame. The arch adds more height to fit bigger and potted plants. 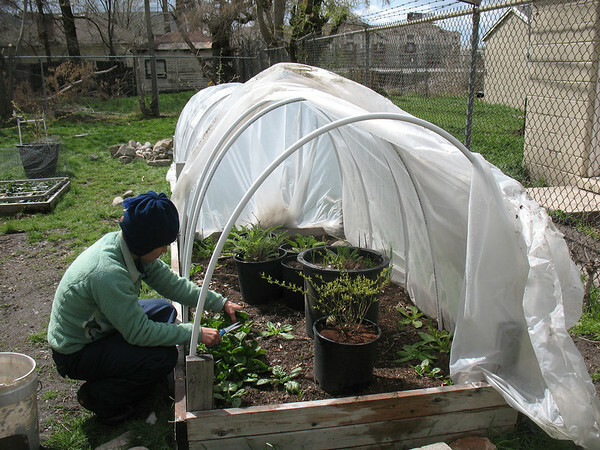 Hoop houses also can be accessed from all sides. Easy access means easy tending and harvesting. The Hoop house is a reliable low cost greenhouse. Start your seedlings off right. 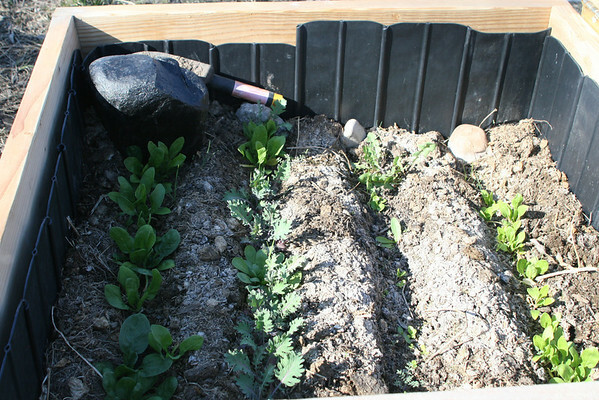 Spinach, lettuce, and kale all grow well in cool weather. I grew all 3 last year and had good success with the kale and spinach. This year I’m growing just spinach and overwintering carrots because they’re biannual and don’t flower until their 2nd season.